Our three Luxury guest rooms are individually designed and furnished, with each interior reflecting our love affair with Japanese design and culture. Each room has been carefully designed to emphasise the beauty and history of this former coaching inn, giving each its own unique character, benefiting from a cosy lounge area with either a chaise lounge or pair of comfy arm chairs to relax in - the perfect place to sit and enjoy a pick-me-up after your journey. We have sought to use local crafts people where possible to add touches of luxury to your surroundings. Each room boasts a luxuriously comfy bed, finished with bespoke British wool blankets created by Laura’s Loom of Sedbergh. Ceramicist Rebecca Callis has lovingly hand-crafted a range of fine china drinking vessels, that sit perfectly alongside the locally sourced artisan teas, coffees and home-made biscuits to be found in your room. Each of our unique bathrooms is a haven of tranquillity. 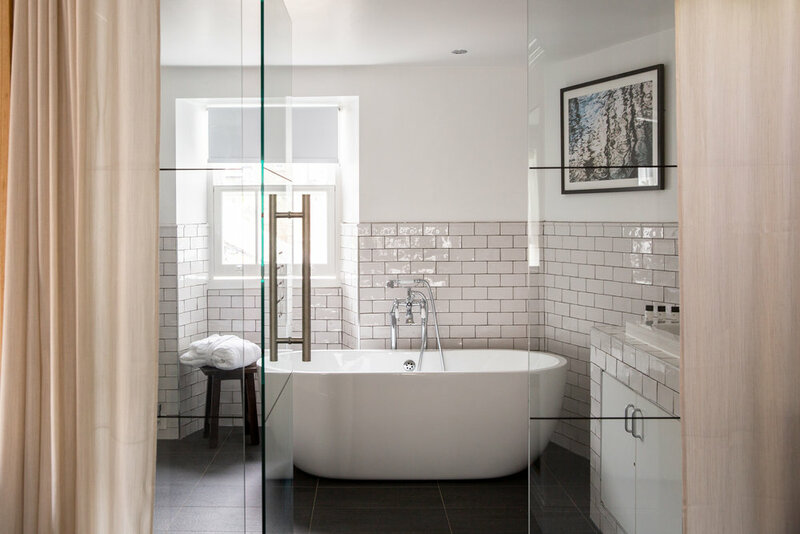 Two of the rooms have a free-standing bath, with walk-in rain shower whilst one has a deep Japanese soaking tub, perfect for an afternoon reading your favourite book or simply switching the mind off, with rain shower above. We are sure you will agree with our range of ‘Petrichor’ toiletries (a word that describes the evocative earthy smell of rain falling on dry earth), designed exclusively for us by The Sedbergh Soap Co.